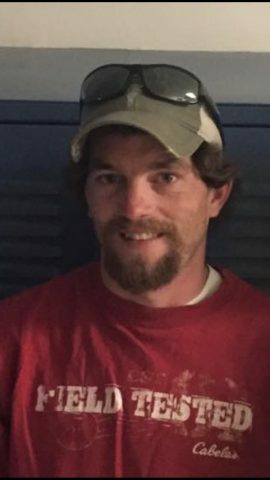 Ryan Thomas Branon, 30, passed away on Saturday, September 29, 2018, the result of injuries sustained in an ATV accident in Fairfield. Ryan was born on May 17, 1988 in St. Albans, the son of Damian and Stephanie (Dukas) Branon. Ryan always approached life in a very fast paced manner. He was a great mechanic and could fix anything with ease. The outdoors was a large part of Ryan’s life, he loved to fish, hunt and, especially, sugaring season and farming. His four-legged friend Jack was his outdoor companion, never leaving his side in the woods. Ryan was an old sole at heart, and would do anything for anyone, never asking for anything in return. But most of all, Ryan loved his daughter, Ellason Branon, who was the most important person in his life. In addition to his parents, Damian and Stephanie and daughter, Ellason, Ryan is survived by his siblings and their significant others: Patrick, Sam and their daughter Brynn; Damian, Jr. and Megan; Mariah and Taylor; Nicholas and Victoria. He is survived by his maternal grandparents Stan and Sandra Dukas; a great aunt, Margaret Mary; special friend Kristy Bezie Jankowski; as well as several aunts, uncles and cousins. Ryan was predeceased by his paternal grandparents, Charles and Barbara Branon. The Mass of Christian Burial will be celebrated at 10:00 AM on Saturday, October 6, 2018 at St. Patrick Catholic Church, 116 Church Road in Fairfield with the Reverend Maurice J. Roy officiating. Interment will follow in St. Patrick Cemetery, Fairfield. Friends are invited to attend calling hours on Friday, October 5, 2018 from 6:00 to 9:00 PM at the Heald Funeral Home, 87 South Main Street in St. Albans. Should friends desire, gifts in Ryan’s memory may be made to Grady’s Golden Goodness, c/o Luke and Nicole Howrigan, 689 Lapland Road, East Fairfield, VT 05448 (this memorial serves to spread love, goodness and joy to others) or Vermont Special Olympics, 16 Gregory Drive, Suite 2, South Burlington, VT 05403.